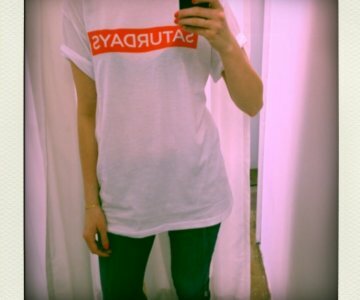 Box logo tee fra Saturdays surf...! God mandag! DANSK jumpsuit, vintage cardigan & Vagabond shoes.